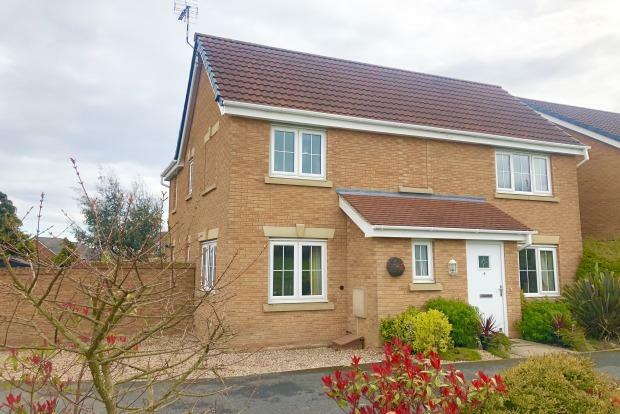 4 Bedroom Detached House To Rent in Leicester for £1,100 per Calendar Month. The perfect home and in excellent condition this four bedroom detached property offers all you will ever require. Located in Thorpe Astley on the edge of the development this property has the prime spot with convenient access to the M1 and M69, Meridian business and leisure park, city centre and Fosse park offering a range of popular retails stores. The nearby supermarkets include Sainsbury's, ASDA and Aldi. The property comprises of a welcoming entrance hallway and downstairs W/C. There are two reception rooms. One of the main reception rooms has a great open and light space with patio doors leading to the garden. The second reception makes a great 'cosy' or dining room. The kitchen/diner is the heart of the house which will be useful for the family or entertaining guests. Upstairs the master ensuite offers lots of light and plenty of space for a kingsize bed. The two further double bedrooms have beautiful views over the greenery surrounding. One of the bedrooms has built in storage, which always comes in handy. There is also a further single bedroom or what could be used as a study. All rooms in this property have great views and are not overlooked. There is greenery surrounding the front of the property. The garden to the rear can be easily maintained with a mixture of lawn and paving. Call the Frank Innes team today to arrange to view.